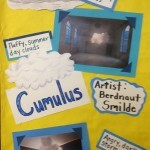 Taking on the fascinating, temporal work of Dutch artist Berndnaut Smilde, 2nd grade students sculpted beautiful sky-scapes that were displayed in the school library for all to see and enjoy. 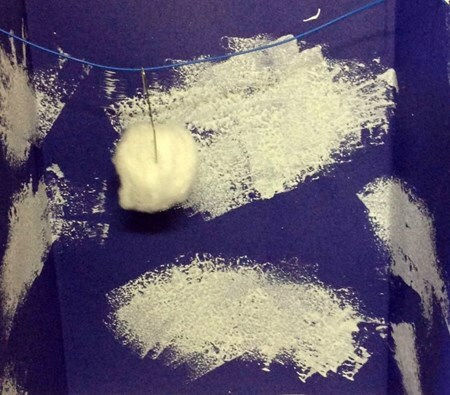 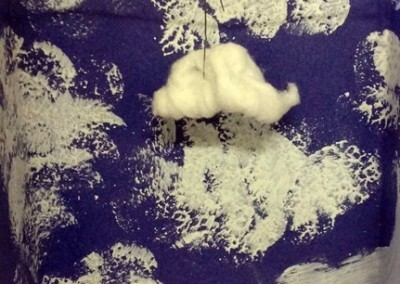 To begin the project, students watched a video of the artist creating real clouds in a gallery space. 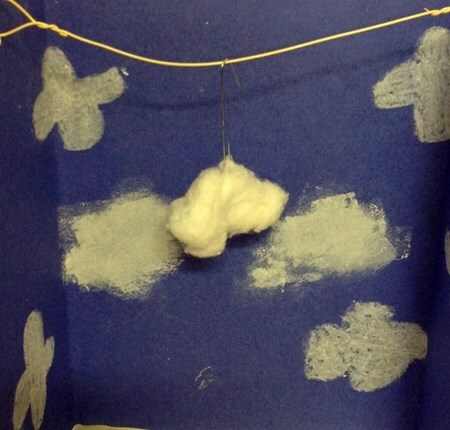 They learned about the science of how clouds are formed and learned about the different kinds of clouds they see in the sky. 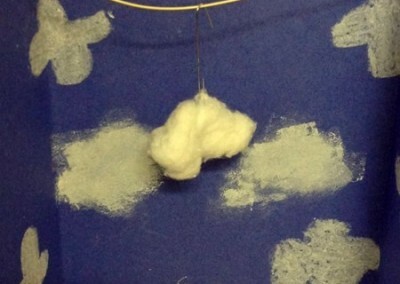 Great discussions were had about the different between what clouds look like, and how they actually feel. 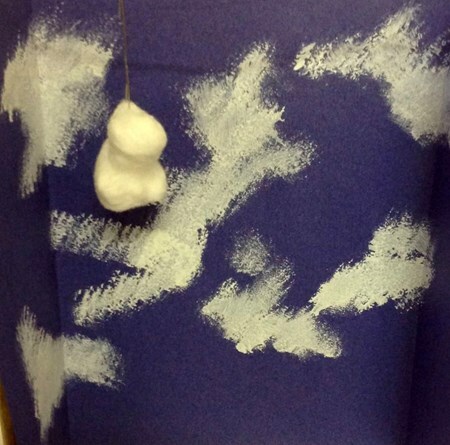 to create their own cloud-scapes, students began by sponge-painting a sky using which paint and blue poster board. 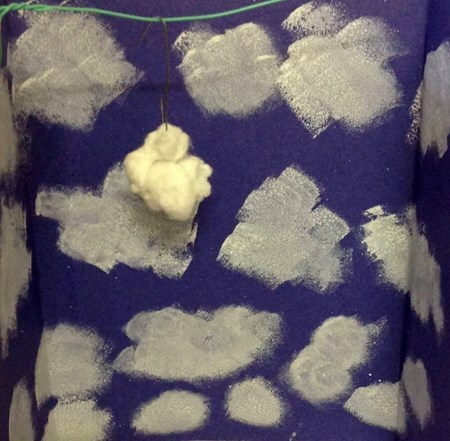 Through the layered addition of white paint, students added dimension to their painted clouds and created a sense of unity with the sky-scape. 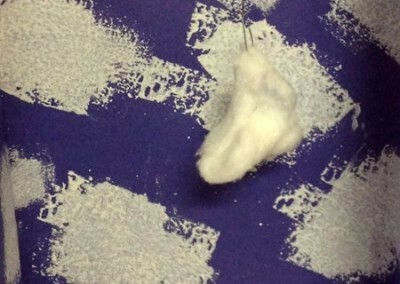 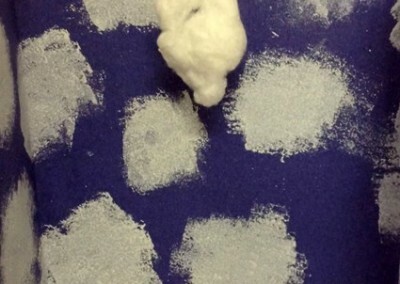 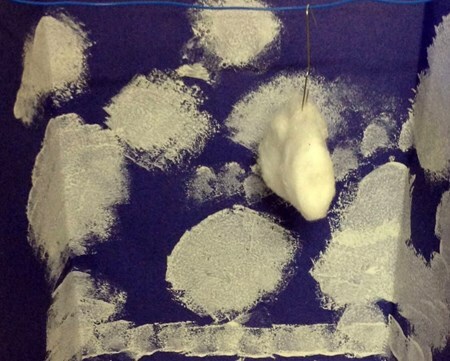 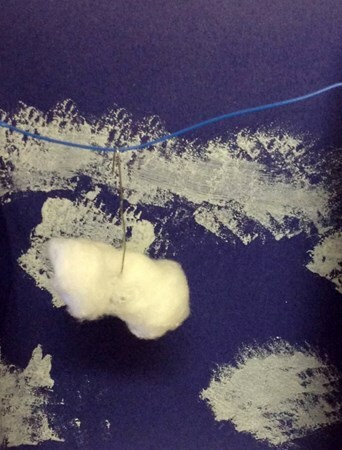 Students then formed an actual “cloud” using cotton batting that was pulled apart and molded to form amorphous shapes with differing areas of density. 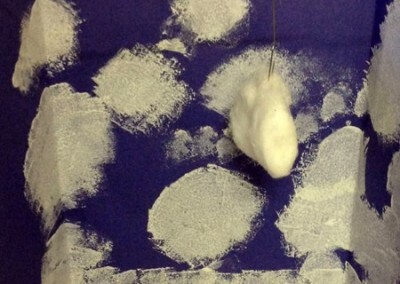 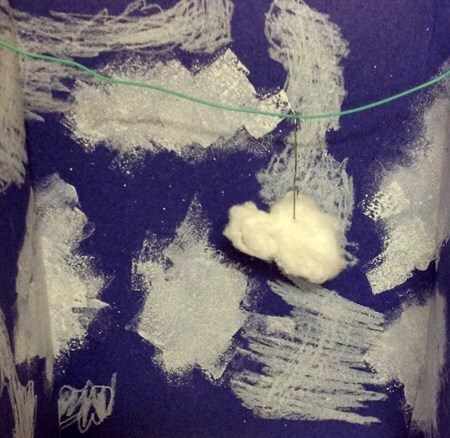 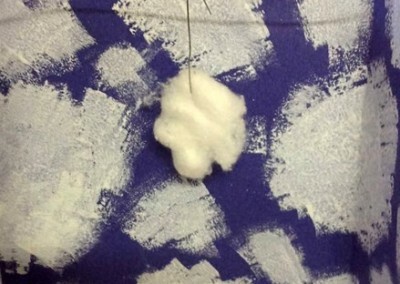 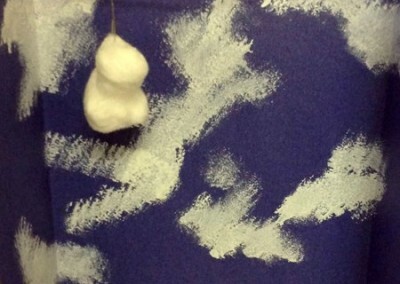 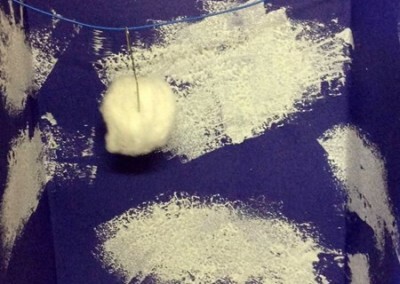 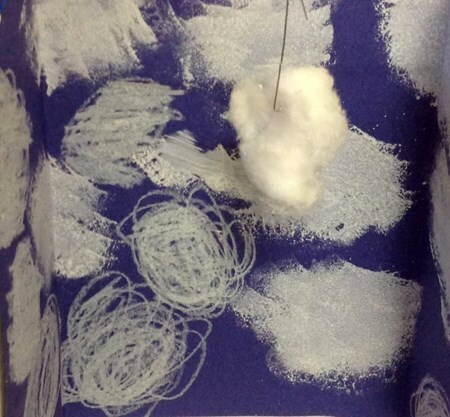 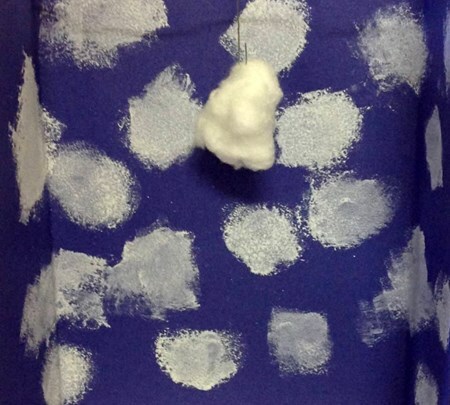 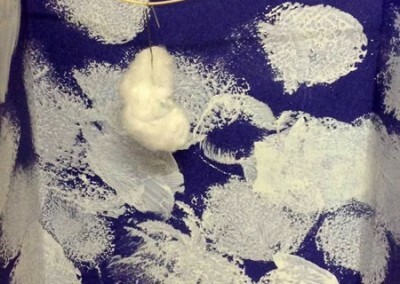 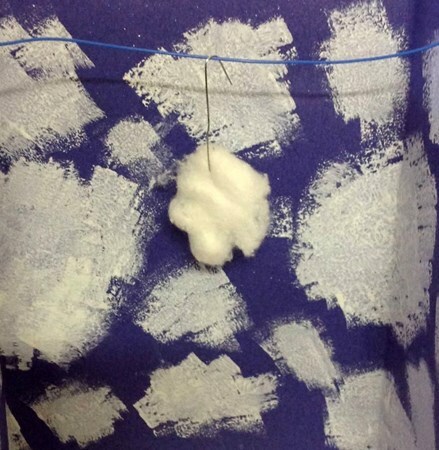 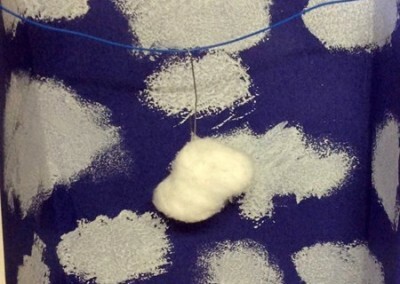 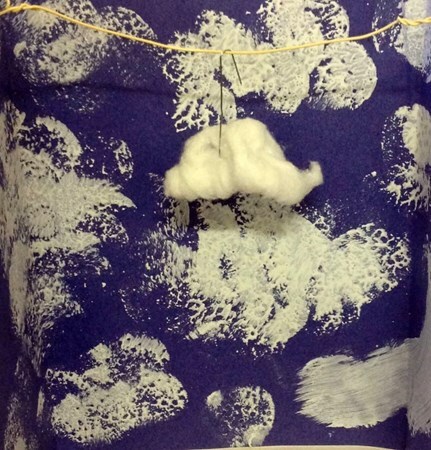 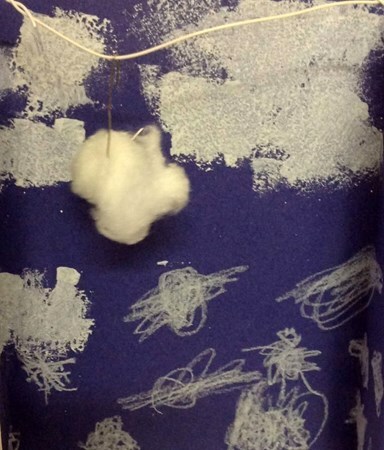 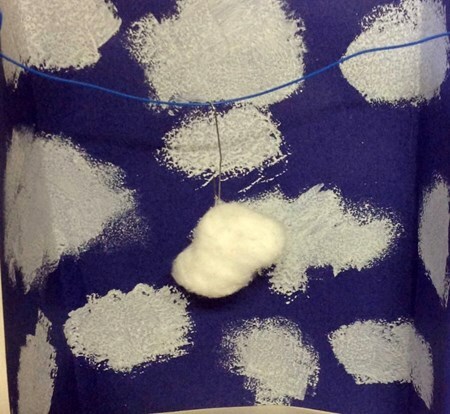 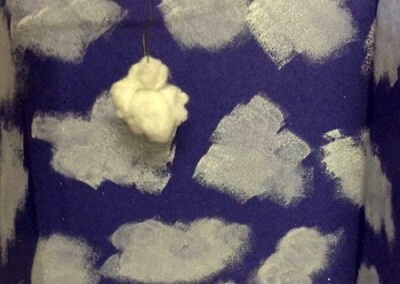 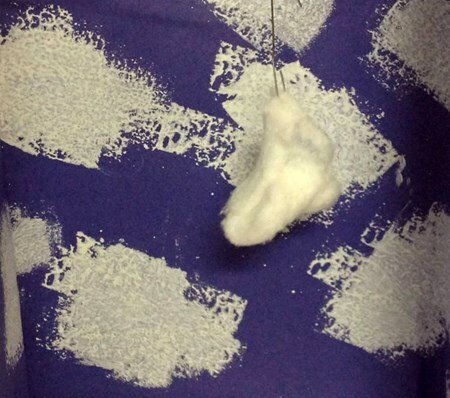 Students hung their clouds in the painted cloud-scapes using flexible wire and an ornament hook, which created a sense of weightlessness in the “floating” cloud. 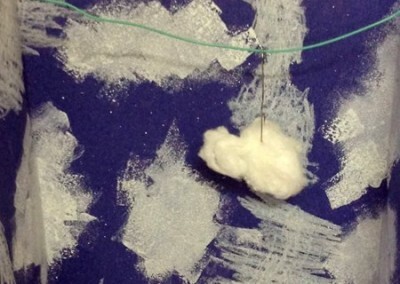 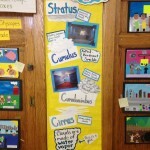 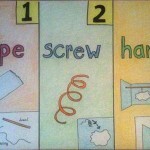 To complete the lesson, students where asked to identify they type of cloud they created in a sentence about their artwork. 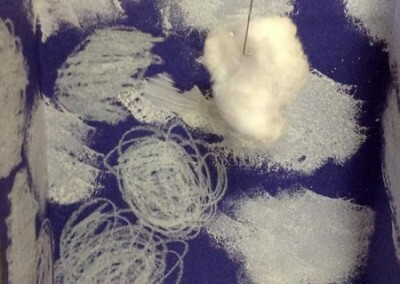 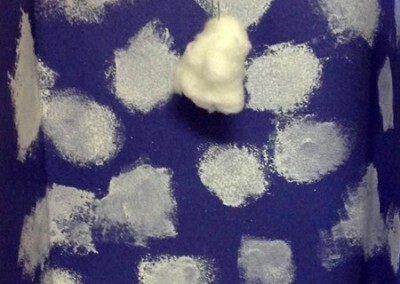 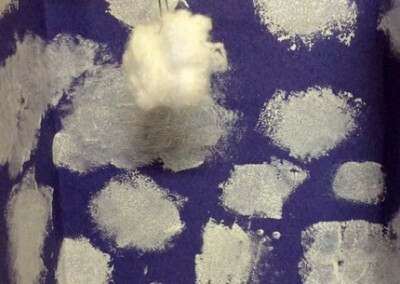 Students will paint a sky background using the sponge painting technique to create at least 3 clouds of varying scale. 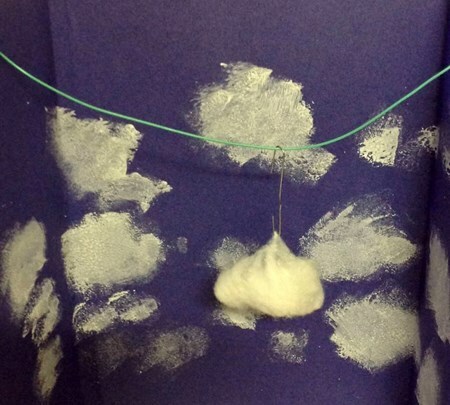 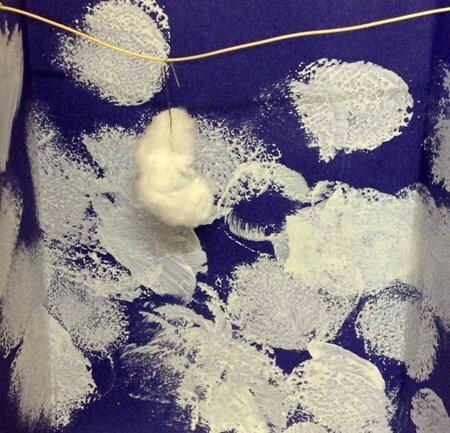 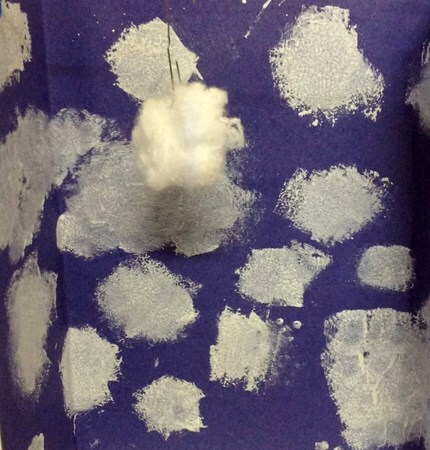 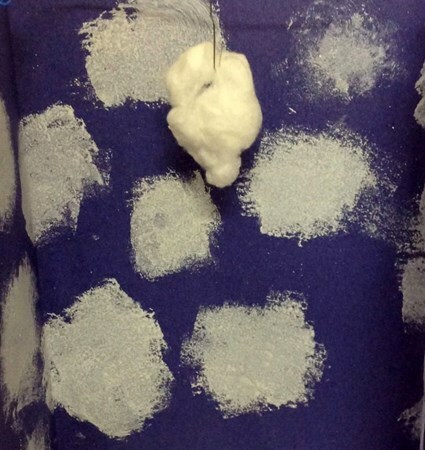 Students will form one cloud out of cotton batting that will be hung in their painted sky. 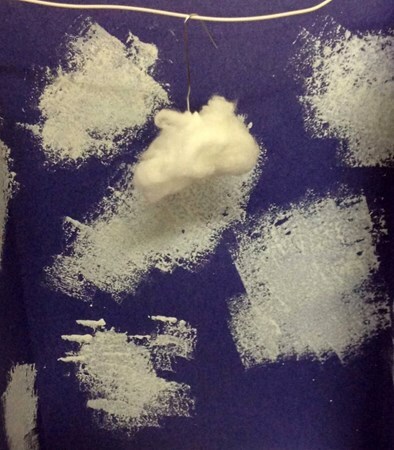 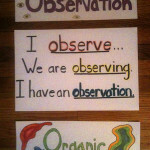 The sky has provoked countless paintings, photographs, stories, scientific inquiries, and religious musings. 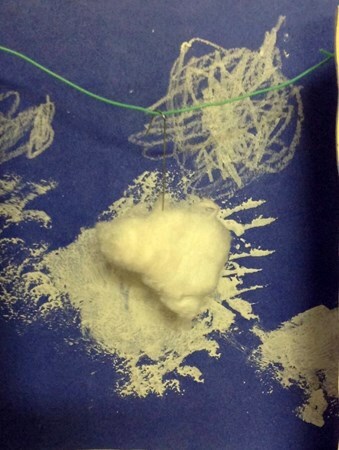 The weather effects every human, from its impact on an afternoon picnic or Sunday drive, to the catastrophic implications of a tsunami. 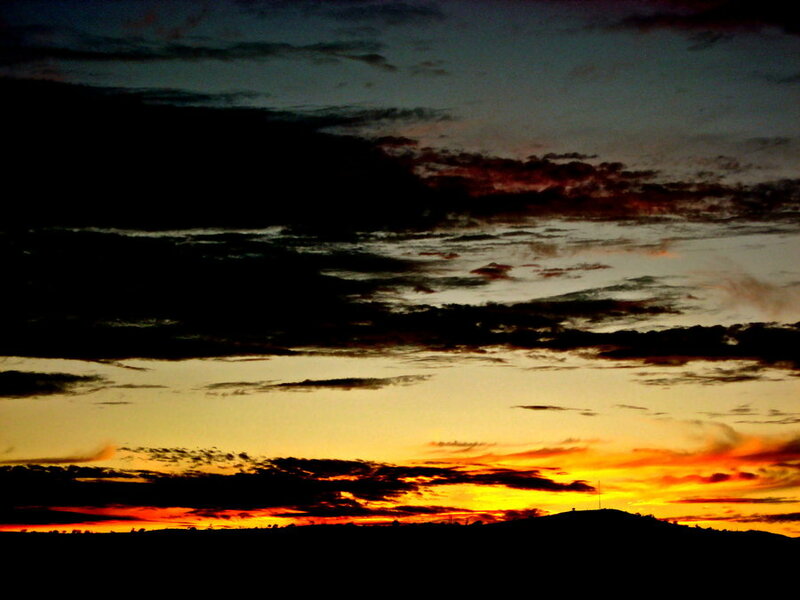 With its many shades, textures, colors, and countless permutations, nature provides us with unparalleled access to beauty. 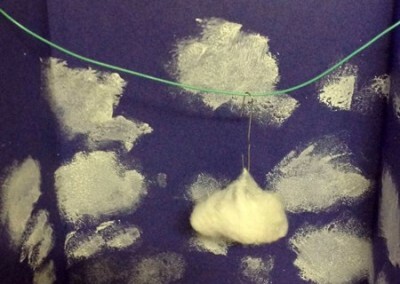 How are clouds an important part of people's lives around the world? 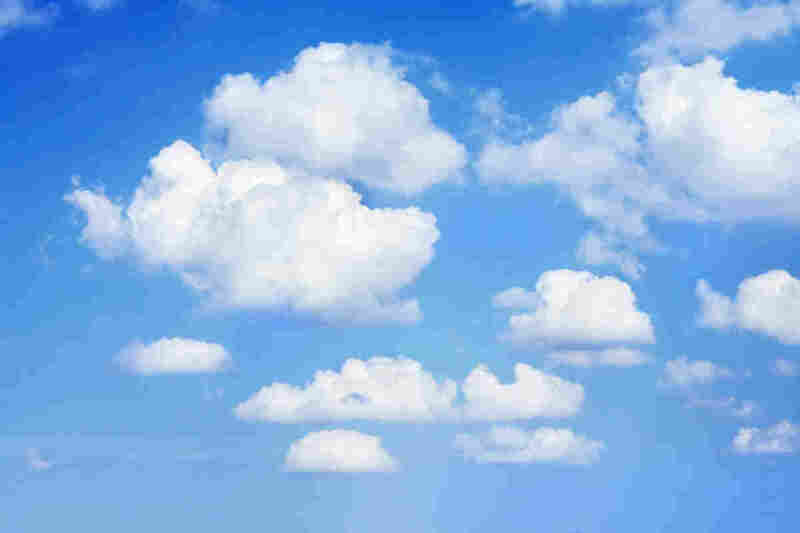 What would our world be like without clouds? 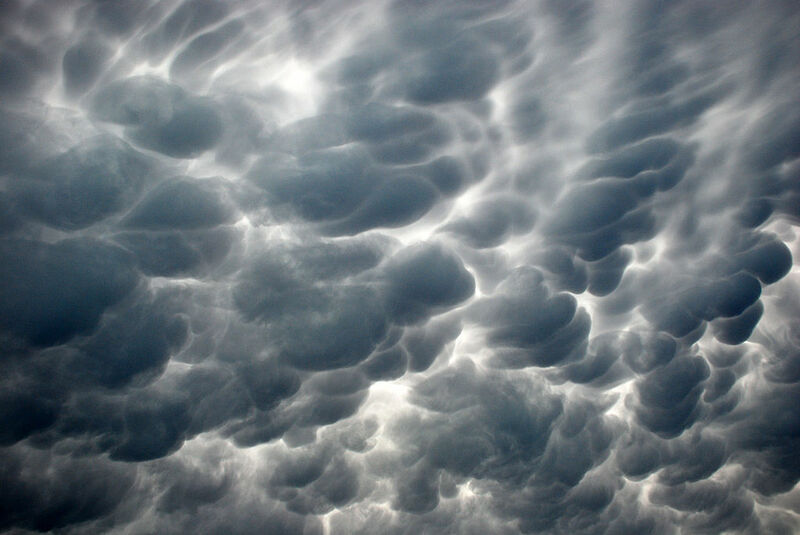 Can something be both beautiful and scary at the same time?